I’ve built many websites in the last few years, with several that focused on affiliate links in order to monetize it. I haven’t used affiliate links excessively or included so many affiliate links that I ever felt I needed a affiliate link management plugin like ThirstyAffiliates. Now that I use such a plugin, I don’t want to miss it. Initially, I came across ThirstyAffiliates after asking Hesham about what type of affiliate link plugin he uses. He recommended to me ThirstyAffiliates, which I ended up trying out immediately. Basically it’s a plugin that manages all of your affiliate links in one place and with ease, so you don’t have to. You can track your links, export and import, and display them on your blog whenever you need to. If you have an international site, but need to localize your links according to the customers country, ThirstyAffiliates will do that too. 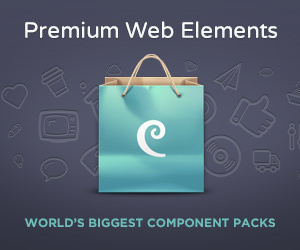 Hesham, for example uses it on the Famous Blog, and also here at Pre-Purchase.com in order to keep track of the affiliate links and to be able to easily insert them into his articles and reviews. ThirstyAffiliates is very easy to use. You simply create the affiliate links you want to reference on your site. You enter a name for it, which will be the last part of your generated affiliate link and the original affiliate link itself. 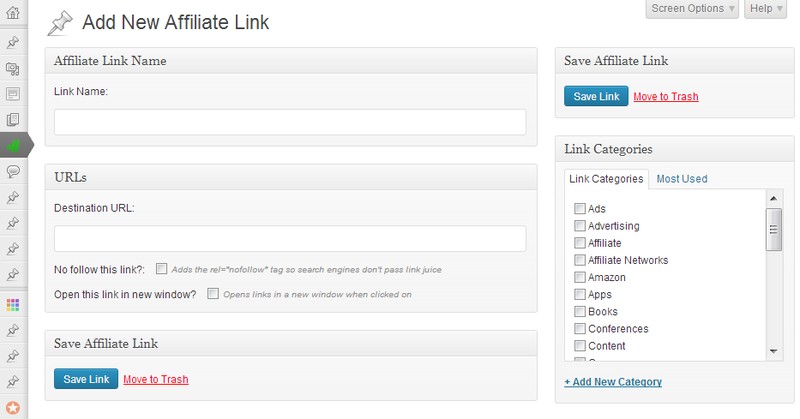 In order to make the selection even easier, you can categorize the affiliate links. You can further override global settings, such as appending nofollow to the link or making the link open in a new tab. Further you can add images to affiliate links. Now, whenever you work on an article or post, all you have to do to manage your affiliate link and embed it into your post is to highlight the words which you want to turn into a link. Then click on the ThirstyAffiliates icon. There you can search for the link or select them out of a list. Click insert and you’re done. The nice thing with the search is that it automatically starts searching the moment you enter something. A big plus is that ThirstyAffiliates is now available in the WordPress.org plugin directory for free. Be sure to check it out. Just in the process of writing this review, I thought about how certain additions would be great to add to such an affiliate link tool. And luckily, Josh has just created just that. The basic plugin is available to be used completely free, but there are additional add-ons which you can use to improve your affiliate tracking endavors. There are several Add-ons that you can purchase on ThirstyAffiliates.com. There’s an add-on for geo-locations, which automatically displays affiliate links based on the location the visitor is coming from, which alone can be very worthwhile. Autolinker is another add-on which allows you to automatically insert affiliate links for keywords within articles. Additionally, Josh offers a Stats add-on which displays the clicks you got over the last few days. The last add-on, provides ThirstyAffiliates with the ability to track all your affiliate links in Google Analytics, making it extremely easy to follow along which visitors are the most worthwhile. Click here to check all available ThirsyAffiliate Add-ons. We share reviews of products which we used to give you the best point of view before making purchase theme. Beside, we also share coupons to help you save money on purchasing on many online stores. Copyright © 2016 Pre-Purchase.com. All Rights Reserved.